Car owners with Goodyear Assurance tires can be confident that they have a long lasting tire that will give them great traction year-round. 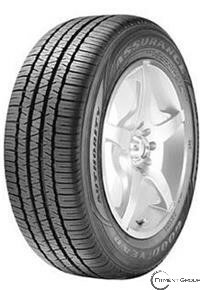 The Assurance model has an all-season tread design that has distinct zones for dry and wet conditions. - Wide grooves assist in quick evacuation of water away from the tread"